Osgood-Schlatter disease refers to an injury / ‘stresses’ to the bone growth plate in the shin bone (tibia) just below the kneecap. It occurs in children and adolescent athletes. The large muscle on the front of the thigh (quadricepts) attaches to the shin bone via the patella tendon. The tendon functions to transmit forces produced by the thigh muscle to the shin to support and move the knee joint. 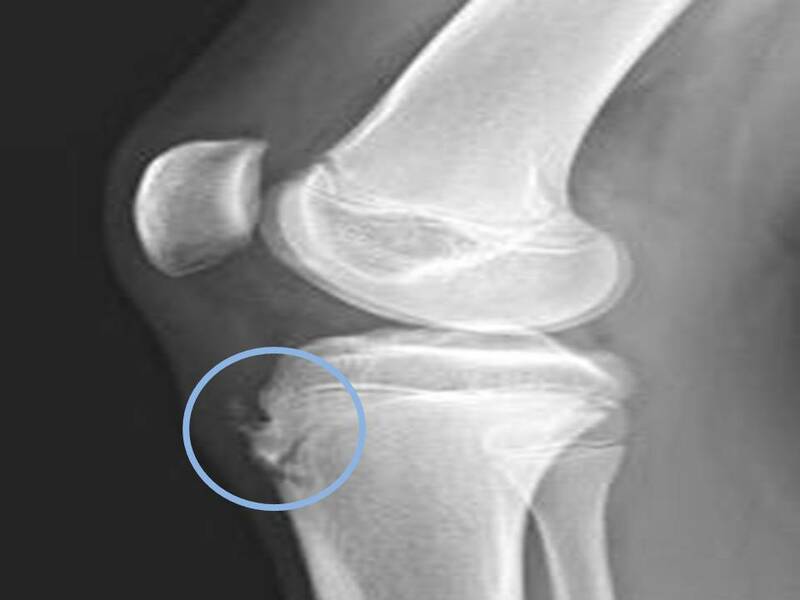 In children, the portion of the shin bone into which the patellar tendon inserts is separated from the bulk of the shin bone by a growth plate. Forcible and repeated contraction of the thigh muscle can injure the growth plate. This occurs in sports which involve running and jumping and intensified with activity, especially straightening the leg against force, as in stair-climbing, jumping or weight-lifting and occurs during a period of rapid growth. During rapid growth, the thigh muscle and patellar tendon become tighter as the bones grow, leading to increased pulling of the thigh muscle and patellar tendon on the shin bone and growth plate. 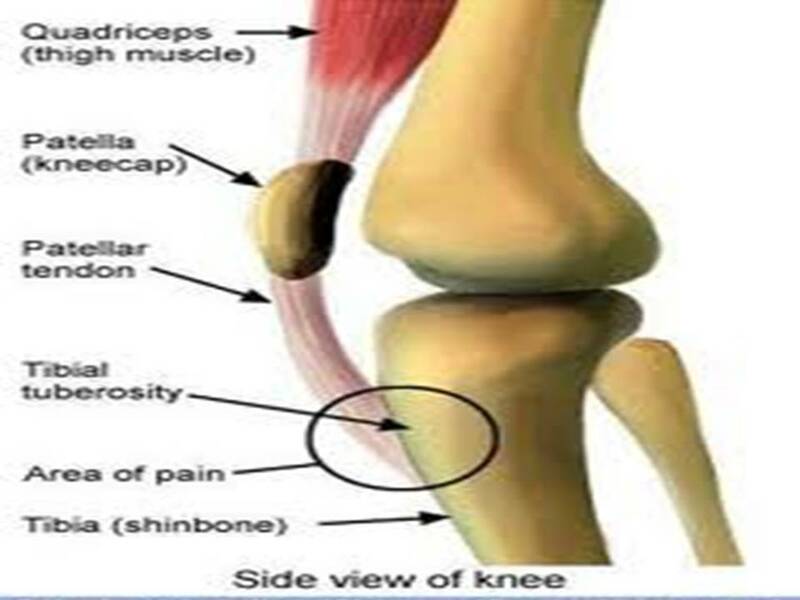 Pain, swelling and increased warmth is felt just below the kneecap in the bony bump on the front of the shin (tibial tuberosity). Pain is felt most commonly during activity or exercise. Swelling and tenderness may also be experienced. Diagnosis is confirmed by X-ray which shows that the growth plate is wider than usual and may show small bones in the growth plate.